The Great ESL Egg Drop! Teachers and students are welcome to use the quiz builder. Whether your quizzes are proofed and polished or playful experiments, thank you for using the quiz builder. All new quizzes are automatically placed in the quiz Archive. The quizzes you create are also listed on your Channel (which is set up when you Register). You can edit your quizzes at anytime from your Account Dashboard. - Step 1: Enter the title, description, video embed code, and upload a thumbnail image. - Step 2: Enter the questions/answers, transcript, and notes. 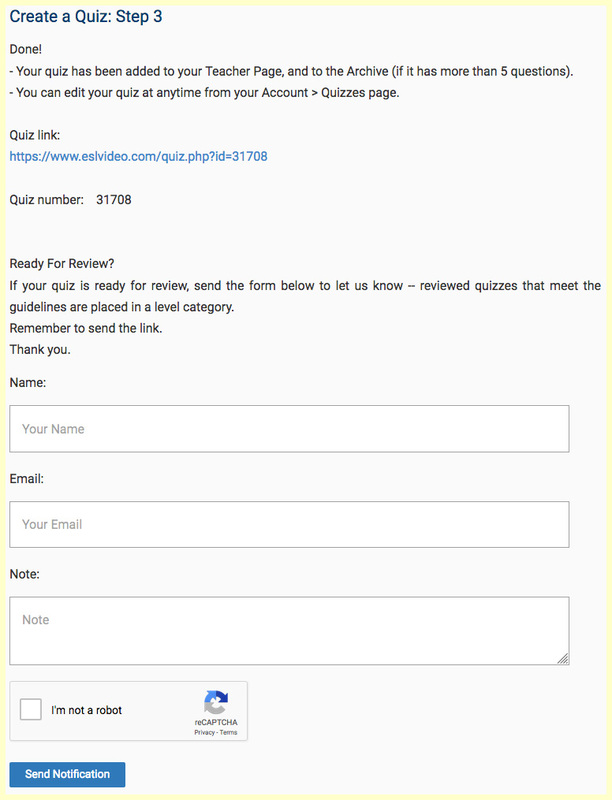 - Step 3: Copy the quiz number and url for sharing, and optionally mark your quiz ready for review -- reviewed quizzes that meet the guidelines are placed in a level category. "It's best to design your quiz in a text document first, especially the questions and answers, then copy and paste the quiz into the quiz builder." 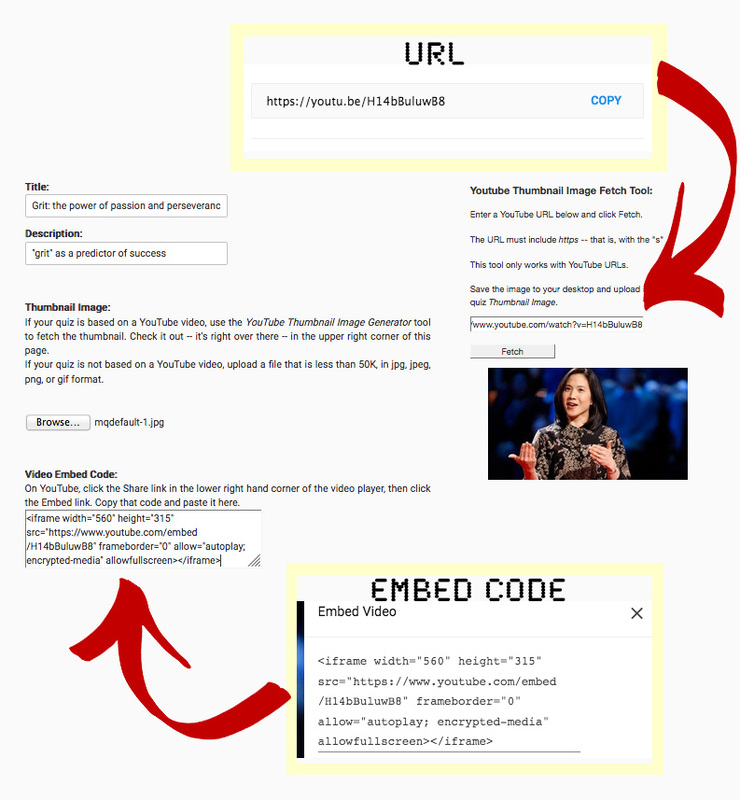 Step 1: In step one you'll need the video embed code and URL. - Copy the video embed code from YouTube and paste it in the quiz builder. - Copy the YouTube URL and paste it in the Thumbnail Image Fetch Tool. - Save the fetched image to your computer. - Click the "Browse" button and upload the thumbnail image. Step 2: In step two enter the quiz questions and answers, transcript, and notes. If you'd like to hasten the review of your quiz, please let us know about it here in step 3.